...made the weather channel photos (parents and brother's family are all good and kept powere throughout). Dr. Edward Maltby will be the keynote speaker at CNREP 2013: Challenges of Natural Resource Economics and Policy – The 4th National Forum on Socioeconomic Research in Coastal Systems. Maltby is professor emeritus of wetland science, water and ecosystem management at the University of Liverpool, UK. During the past 40 years, Maltby has gained an international reputation for developing innovative policy instruments focused on the management and conservation of water resources and wetland ecosystems. He played a key role in the creation and implementation of the Ecosystem Approach for the Global Convention on Biological Diversity; the United Kingdom’s National Ecosystem Assessment; contributed to development of the Ramsar Convention’s Wise Use Concept; and developed horizontal guidance for wetlands under the European Unions’ Water Framework Directive. Dr. Maltby’s keynote presentation will focus on integration of biophysical and socioeconomic sciences for the measurement, valuation, and implementation of ecosystem services in public policy. His address will mark the opening of the CNREP 2013 conference to be held March 24-26, 2013, at the Royal Sonesta Hotel in New Orleans. Early conference registration is $350; $200 for students. For more information, visit www.cnrep.lsu.edu. “We are thrilled to have Ed Maltby as our keynote speaker for this forum,” said Rex Caffey, conference co-chair and professor of natural resource economics at Louisiana Sea Grant and the LSU AgCenter. “Dr. Maltby has been a global visionary in the realm of ecosystem services and he’s intimately acquainted with the challenges we face in Louisiana and the northern Gulf region.” During 2011-12, Maltby held the Laborde Endowed Chair in Research Innovation for the Louisiana Sea Grant College Program at Louisiana State University in Baton Rouge. The triennial CNREP forum focuses on the opportunities and challenges of socioeconomic research in the development of coastal resource management and policy. Session topics for the forum include, but are not limited to, market and nonmarket valuation of natural resources, environmental benefit-cost analyses, economic linkage/impact assessment, input-output modeling, and comparative assessments of resource management and coastal restoration policy. The deadline for CNREP 2013 abstract submissions is Monday, November 12, 2012. 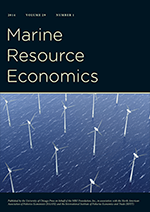 The Center for Natural Resource Economics and Policy (CNREP) is announcing a third call for abstracts for: CNREP 2013: Challenges of Natural Resource Economics & Policy – The 4th National Forum on Socioeconomic Research in Coastal Systems. The conference, to be held March 24-26, 2013, in New Orleans, focuses on the opportunities and challenges of socioeconomic research in the development and evaluation of coastal resource restoration and management. Potential session topics include, but are not limited to, market and nonmarket valuation of ecosystem services and coastal resources, environmental benefit-cost analyses, economic linkage/impact assessment, input-output modeling, and comparative assessments of resource management and restoration policy. Basic and applied research, extension-oriented, and policy discussion submissions are all welcome. The deadline for abstract submission is Monday, November 12, 2012. The call for abstracts is available at: http://www.cnrep.lsu.edu. For information about CNREP, go to: http://www.cnrep.lsu.edu/AboutCNREP.html. Find CNREP on Facebook at http://www.facebook.com/CNREP. "Aguanomics: It's not as simple as selling books"
Many people ask me to comment on statements made by journalists covering the water sector. Most of the time, I am happy to see journalists covering water issues, since they tend to promote awareness of the need to change our ways, but there are two big exceptions. The first is when a lazy journalist fails to see that water shortages are not caused by a failure to rain as much as a failure (of managers) to keep demand below supply. In those cases, I often leave comments or send emails to correct them, hoping that they look a little deeper in the future. The second problem is much more dangerous: a journalist posing as an expert. Bottom Line: Journalists can cause a lot of damage when they misdiagnose problems, offer the wrong solution and appeal to fear, uncertainty and dread. What they need to do -- and what I try to do -- is explain the facts and barriers to change before suggesting gradual reforms to improve our water management. The guts are worth the time and effort. All classes on main campus are canceled for Tuesday, Oct. 30. Current weather patterns predict heavy snowfall associated with the remnants of Hurricane Sandy to occur through 1 p.m.
Staff should follow the university's adverse weather policy. I'll be working at home today since I am neither a critical nor essential employee. I came home last night with everything I needed to get my benefit cost analysis class going on their projects (I have 5+ brand new, but small, revealed and stated preference data sets that need cleaning). But, ooops, I found that I needed the SAS license updated on my laptop. I went through the registration procedure at the Appstate website. Unfortunately, the email that I received did not contain the license file and instructions for using the file. It is a very good thing that I have a thousand other things to work on (e.g., at least three more surveys to work on). *My thoughts are with the folks in the Northeast today. John, don't you still have some eligibility left? Spinal Tap had better luck with drummers than Maryland is having with its quarterbacks. The Terps have now lost their top four quarterbacks to season-ending injuries, including three in the past two weeks. The latest casualty, true freshman Caleb Rowe, tore his ACL in last weekend's loss to Boston College. Coach Randy Edsall said freshman linebacker Shawn Petty, who played quarterback in high school, will move under center Saturday against Georgia Tech. And if you need a primer on amberjack ... here it is. I assume I had greater amberjack since the commercial harvest of lesser amberjack is closed in the south Atlantic. An SSC biologist would have asked. Who knew someone could be an economist and an athlete? If you haven't had a chance to complete your athlete survey online, please take a moment to do so now before we close the survey on Nov. 5. Your feedback is critical to helping us make the Nationwide Children’s Hospital Columbus Marathon & 1/2 Marathon a great event each year - for participants, spectators and the general public. A million dollar a mile warning? IF YOU ARE RELUCTANT, THINK ABOUT YOUR LOVED ONES, THINK ABOUT THE EMERGENCY RESPONDERS WHO WILL BE UNABLE TO REACH YOU WHEN YOU MAKE THE PANICKED PHONE CALL TO BE RESCUED, THINK ABOUT THE RESCUE/RECOVERY TEAMS WHO WILL RESCUE YOU IF YOU ARE INJURED OR RECOVER YOUR REMAINS IF YOU DO NOT SURVIVE. The Scientific and Statistical Committee assists the Council in the development, collection, evaluation, and peer review of information relevant fishery management plans and amendments. The SSC generally meets two times each year. The meetings are open to the public and may be accessed remotely via webinar. Written comment on SSC meeting agenda items for consideration by SSC should be provided to the Council office with one week of an SSC meeting. Comments may be submitted by mail or via e-mail (address provided later). Public comment will also be taken at the start and end of each meeting. Details on submitting comment are provided in the SSC agenda and overview for each meeting. Meeting information, including agendas and briefing book materials are posted as they become available. Learn more about the role of the SSC and access a list of members. One thing I learned is that the first thing to gets dropped from the to do list is active blogging. So much to say, so little time. Another thing is that catch shares for golden crab didn't make it (discussed extensively in the SEP minutes in the briefing book materials). Shame. DR. WHITEHEAD: I think part of the reason we were in favor of the catch share program is the idea that these shares are property and all the nice properties of a catch share program fall out of that characteristic that if you own part of the fishery, then you’re going to take care of it. If the catch share is transferable, then it doesn’t seem like a use-it or lose-it provision would be necessary. My PhD is from University of Kentucky, Chris' from the University of California. I'll let the reader decide who we should call "mister." Chris agreed with me, and it wasn't the last time that day (note: we agree all the time, just fun to see it typed up). That is a cloud coming over the mountain.